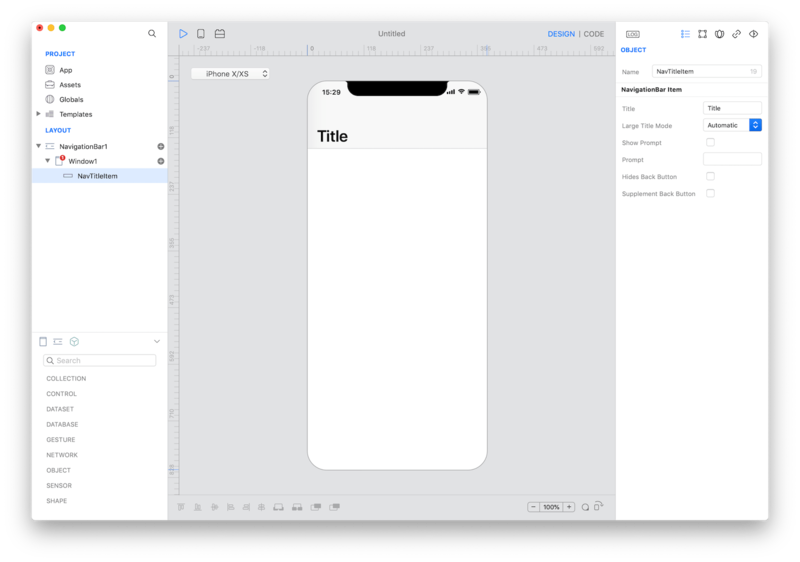 When you drop a control or create a new Window/Navigation a default appearance is adopted but most of the time you'd like to customize the appearance to better fit your application's requirements. In order to be able to customize the appearance Creo introduced the concept of subnode. A subnode is an object, like anything else in Creo, with the specific task of customize the object it belongs to. When you see a (+) symbol next to the object in the Layout panel it means that it can be customized in several different ways. For example, if you want to customize the title of a Window when it is contained inside a Navigation, just press the (+) button and select a TitleItem under Navigation Bar group. From the TitleItem's Inspector you'll be able to customize the icon, the title and several other options. 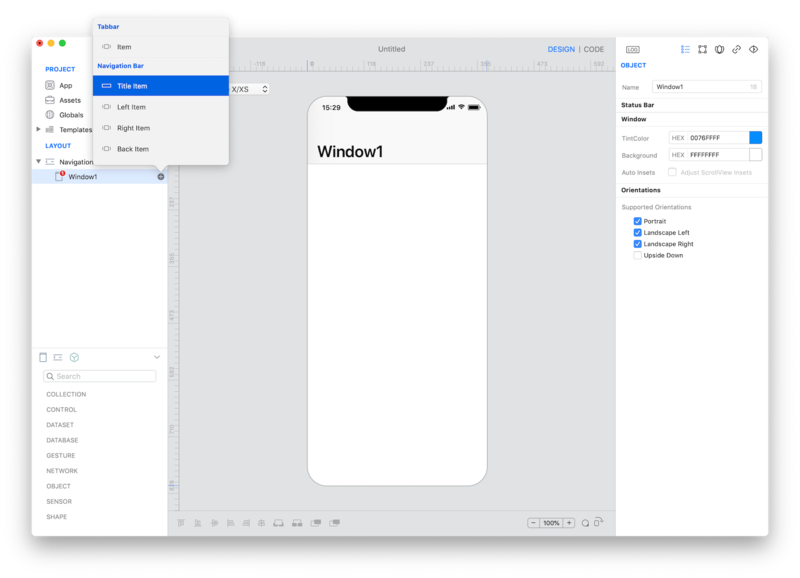 It is important to point out that you'll see how the Window will appear inside a Navigation ONLY when that Window will be presented inside a navigation control.